Bush Baby Hi-Def Wi-Fi Hardwired Exit Sign - Free 16GB MicroSD Card! Looking for the most covert camera out there? Don't want to worry about the battery life? Tired of having to pull a MicroSD card out to view your recordings? Not anymore! 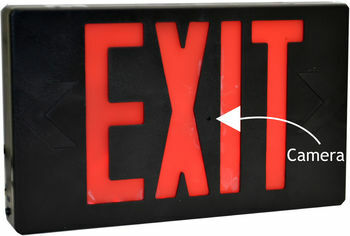 The Bush Baby Hi-Def Wi-Fi Hardwired Exit Sign is the most covert device on the market. Never worry about the battery life, as this unit is built to be hardwired in. No need to pull the MicroSD card out! With this device you can view and delete your MicroSD card recordings straight from the free smartphone app. 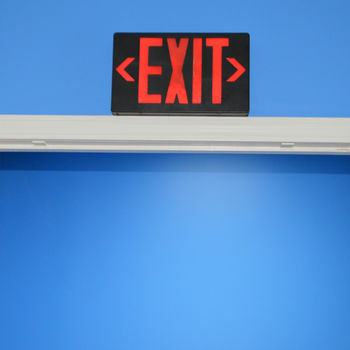 The best part is that this HD WIFI exit sign allows you to see what it sees in real time!